Liberty Intl. - Louis Armstrong New Orleans Intl. Baltimore Washington Intl. Thurgood Marshall - Louis Armstrong New Orleans Intl. John F. Kennedy Intl. - Louis Armstrong New Orleans Intl. There’s enchantment afoot. Known for its European atmosphere, festive spirit, multifaceted history, and love of the arts, New Orleans has no shortage of things to see, do, and savor. Let Crescent City take you through centuries-old architecture and mystical traditions as it curves around Lake Pontchartrain. You’ll soon find that New Orleans vacations are unlike any other as you join in the shenanigans of a city celebration or sit down to cup of coffee and sweet beignets. Keep reading for a taste of the activities and hospitality that await you—each vacation package in New Orleans is bundled with magic, just like NOLA. 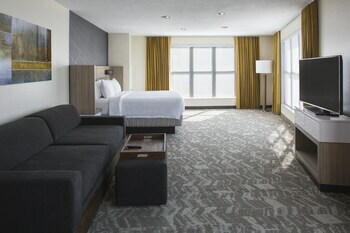 Astor Crowne Plaza New Orleans: Stay here on the south side of the French Quarter to be in proximity to Saenger Theatre and the Central Business District. With crystal chandeliers and intricate tapestries reflecting off glossy marble floors, the Astor Crowne is nothing short of opulent. 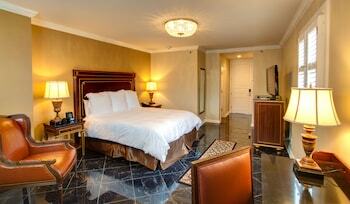 Take advantage of nearby fine dining or enjoy a gourmet meal delivered with 24-hour room service. Le Pavillon Hotel: In the heart of the CBD, Le Pavillon is an ode to New Orleans’ French heritage, which you’ll discover as you step through the columned entrance and face the Lobby swathed in rich brocades. 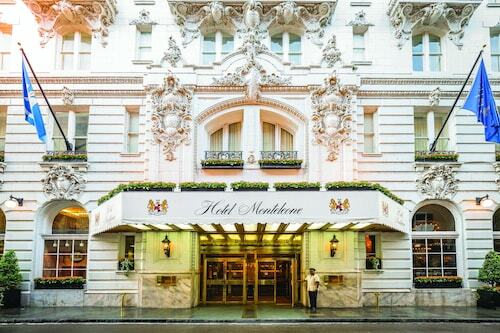 Stay within walking distance of icons like the McDonogh Monument and Lafayette Square, and relax by the pool and order 24-hour room service to your gorgeous suite. 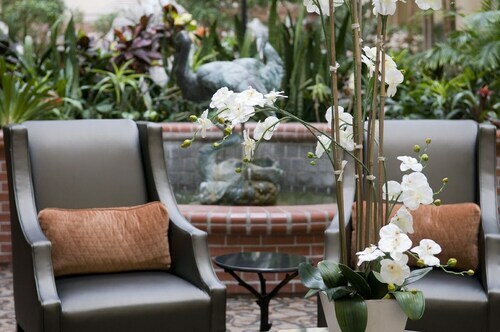 Bourbon Orleans Hotel: As you enter through the columned portico and stand in the center of rich colors and sumptuous furnishing, you may never want to leave. 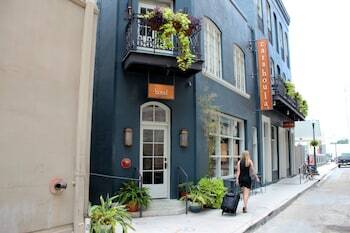 But you must wander through the historic streets to nearby Preservation Hall, Le Petit Theatre Du Vieux Carre, and the Historic Voodoo Museum. The Bourbon Orleans will cast a spell on you. 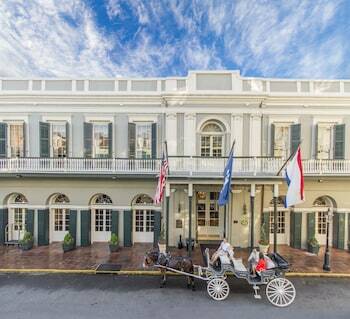 Omni Royal Orleans Hotel: Don’t be surprised if you see a horse-drawn carriage pull up to the door of this wrought-iron laced hotel. 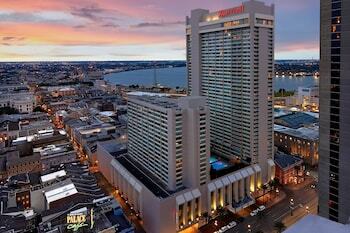 This, like gilt sculptures and 24-hour room service are daily details at this Omni. 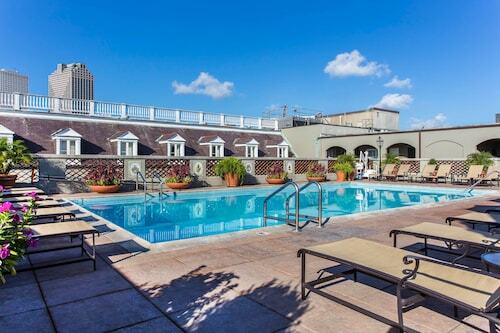 Walk to the Historic New Orleans Collection and the New Orleans Musical Legends Park, or sip some bubbly at the poolside bar. 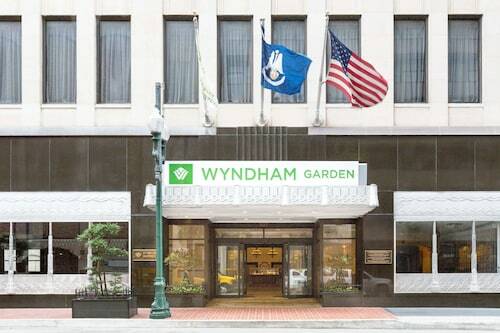 The French Quarter has a large concentration of hotels in New Orleans, and features many of the city's most well-known landmarks. In the center of the Quarter is Jackson Square, a central gathering space surrounded by local artwork, horse drawn carriages, and the St. Louis Cathedral. The city's spacious City Park is home to the New Orleans Museum of Art, Sculpture Garden, and bike paths. If you don’t book your New Orleans package deals for Mardi Gras, visit Mardi Gars World any time during the year to see the famed floats up close and learn about the city's favorite holiday. You could spend your entire vacation in New Orleans without ever leaving the French Quarter, it’s true, but you’ve got to follow the Mighty Mississippi south to the Garden District and Audubon. True to its name, the Garden District is a quiet and lush corner of the city center where Victorian homes and historic cemeteries are overgrown with palm trees and nostalgia. Farther to the southwest, Audubon Park is otherworldly. 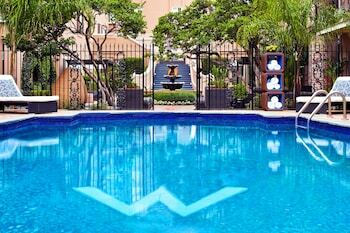 Nibble on a picnic among antique fountains as winged creatures perch on the edge of whimsical bird baths. These moments must be why they call it The Big Easy. As we’ve noted, Mardi Gras is the city's most famous festival. The weeks-long event includes parades of elaborately decorated floats, marching bands, dancing groups, and coveted beads. After Mardi Gras come two of the city's best known music festivals. Beginning in April dance to the melodies of the French Quarter Festival, which is four days of live music. Come the last weekend of April and first weekend of May, when the Jazz and Heritage Festival sweeps through the city. Festivals truly span from January to December in this city of celebration, and many of them are free to join, which enriches any cheap vacation in New Orleans with culture and comradery. 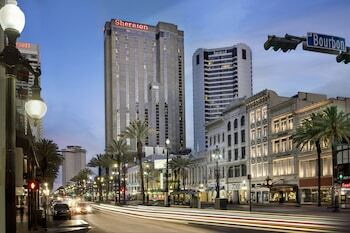 Embrace the fanciful architecture and spicy creole cuisine with reckless abandon, but first, save on hotels and airfare when you book a vacation package in New Orleans, LA. 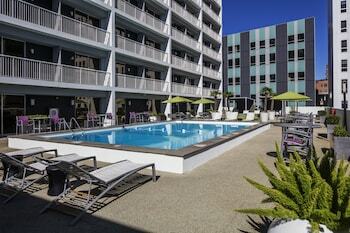 Travelocity’s price-matching guarantee means we’ll offer or meet the best price you can find. Now, that’s the big easy. What currency is used in New Orleans? The U.S. dollar (USD) is used primarily in New Orleans. 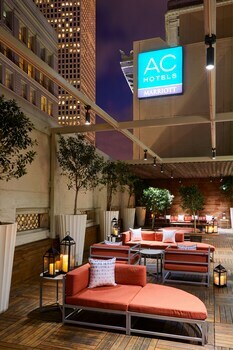 What is the best place to stay in New Orleans? 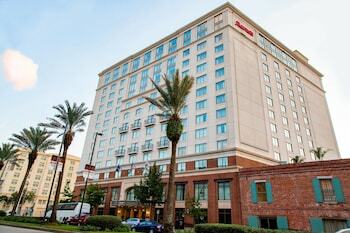 The French Quarter is about a mile from downtown New Orleans. 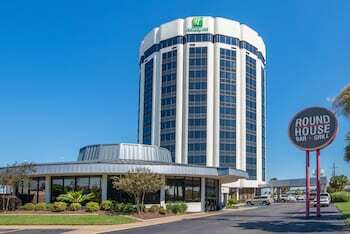 You’ll find an excellent range of hotels and other accommodations catering to all tastes here. 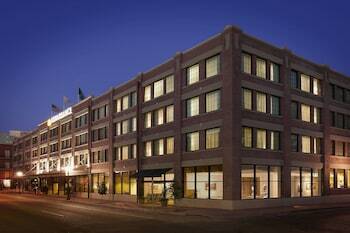 And being so close to the bustling center, you won’t need to worry about expensive taxis. 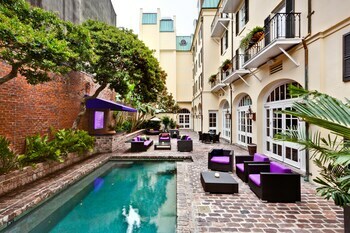 If you’d like something a little quieter, consider the Garden District, approximately 2 miles from the downtown area. There’s plenty to keep gardening and architectural buffs entertained, and you’ll find many conveniences close at hand. 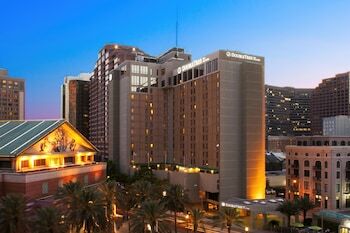 What is New Orleans famous for? 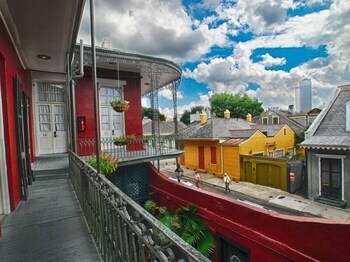 The New Orleans Museum of Art and the French Market are sights you shouldn’t miss. Jackson Square and Audubon Park also belong right at the top of your itinerary. If you’re intrigued by New Orleans’ famous Mardi Gras parades, stop by Mardi Gras World, which offers a behind-the-scenes look at the hard work that goes into this colorful annual event.